comprises of all the major local attractions and other places of interest. Taba is a small village in Egypt which is known for its diverse landscapes and picturesque surrounding. 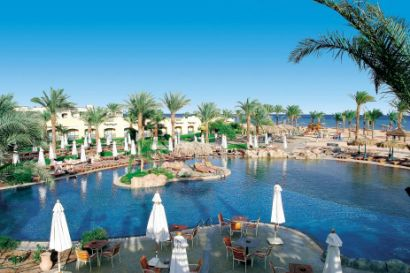 The Taba Tourist Attractions include various exotic locations which are some of the most popular tourist destinations in Egypt. Taba is a small village in Egypt that is located on the Fgypt-Israel border and is a popular destination among the swarming travelers who come to spend their long awaited vacation in Egypt. It has quite a number of exotic locations which are quite alluring to the tourists. It also rates among the major historical sites in egypt and has a rich cultural heritage. Mount Sinai, Taba- It is one of the prominent sightseeing places in Taba and has a rich historical background. 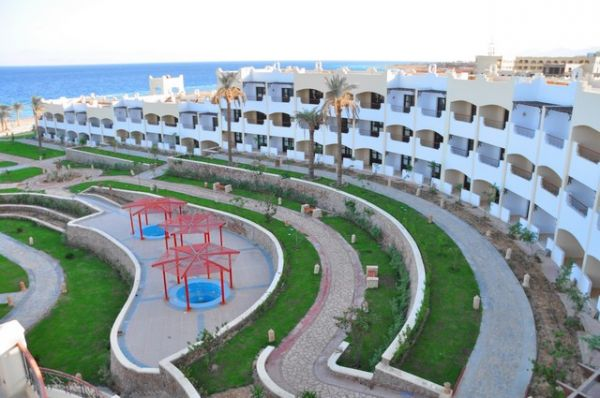 It is located between the Mediterranean Sea and Red Sea. There is a monastery at the foot of the mountain which was fortified in order to protect the monks. The entrance of this monastery was made of wooden frames. If you have to reach the mountain summit you will have to climb over 3000 Steps.This Mountain is of great religious importance and is a major attraction in Sinai. Color Canyon, Taba- It is one of the natural wonders in Sinai. The walls of this canyon are formed by the deposition of natural elements like ferrous oxide and manganese over centuries. In some places these walls reach up to 40 meters. If you take a walk along the canyon you will mesmerized by the colorful texture of these sandstone walls. Ein Khudra, Taba- It is one of the most scenic oases in Sinai. If you visit this place you will see fresh water lakes flanked by palm trees amidst the barren desert. If you take a walk along the white canyon you will be charmed by the diverse landscapea which are indeed quite alluring. 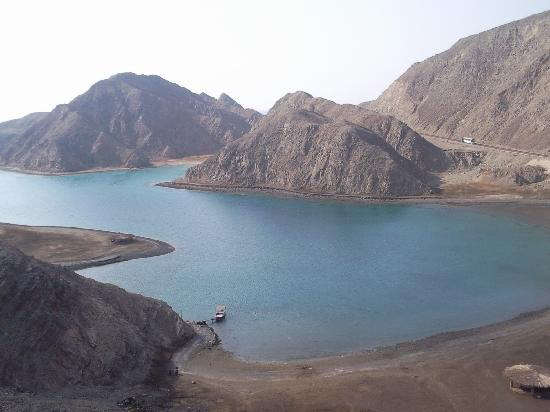 Abu Galum, Taba- It is another popular attraction in Taba. Here, you will find a conservatory which houses 167 different species of plants and animals and includes Nubian Ibex, hyrax, red fox, hyena etc. The vast natural reserve has made this an unique place. There are numerous tourist attractions in Egypt which make it a popular destination among the travelers. The Taba Tourist Attractions will give you a thorough overview on numerous exotic locations and other sightseeing places in Taba. 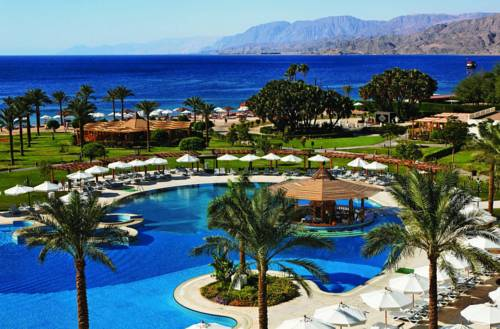 Relax at the Hilton Taba Resort - Nelson Village with a private beach lapped by the Red Sea. 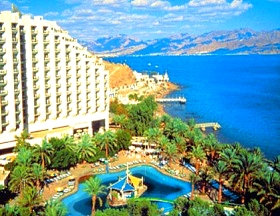 Overlooking Jordan Israel and Saudi Arabia this Taba hotel is 40 minutes from Taba Airport and 20 minutes from Eilat Airport. Dine on Italian cuisine at the Hilton Taba Resort - Nelson Village*s Casa Taba taste Oriental specialties at Marhaba or take a drink on the terrace at the Nelson Pub. Kids will love the kids* club while you can enjoy the pool private beach Jacuzzi diving center and tennis courts at the Hilton Taba Resort - Nelson Village. Visit Taba attractions such as the Taba Heights Golf Course and the Underwater Aquarium or shop for gifts in the hotel*s shopping mall. The Hilton Taba Resort - Nelson Village has 2 meeting rooms for up to 550 people and wireless internet access in all guest rooms and public spaces. From a Hilton Room to a Suite all Hilton Taba Resort - Nelson Village rooms offer wireless internet access. Choose a Suite for sea views. 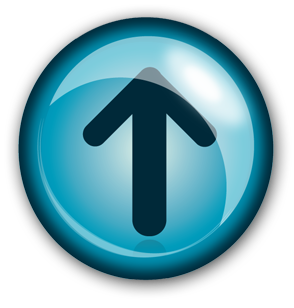 Taba Heights Marriott Beach Resort offers elegant Taba accommodation in a well-positioned Central location. The 394 upscale rooms spare no expense. Taba International Airport is located only 24 kilometres from Taba Heights Marriott Beach Resort. If you prefer your accommodation on the rather grand scale, Sofitel Taba Heights could be right up your street. Enjoy exemplary service with 5 stars. 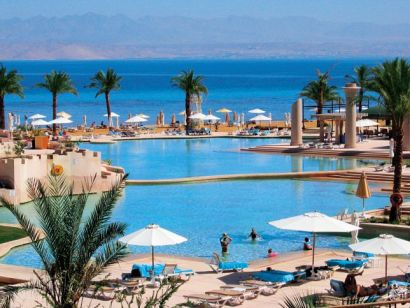 The luxurious 5-star Hyatt Regency Taba Heights offers panoramic views of the Red Sea and Sinai Mountains. The hotel features a private beach and well-furnished restaurants and bars. All of the air-conditioned rooms have a private balcony or terrace with pool views. A satellite TV and minibar are included in the separate furnished sitting area. Some feature views of the Red Sea or a beachfront location. The Hyatt offers a choice of Mediterranean, Italian or Lebanese cuisine. Limoncello restaurant has a daily buffet breakfast and dinner. Snacks and drinks are available at Breeze restaurant, which also offers a dining menu.Guests can enjoy facilities such as a fitness center, health center and outdoor hot tub. There is a large pool and terrace with lounge chairs or a salt water lagoon with sitting areas to sit and relax.Taba and the border crossing for Israel is a 20 minute drive away. Taba International Airport is 19 miles away. The hotel features 171 comfortable and pleasantly furnished guest rooms including 6 suites. Each room has a balcony or a terrace overlooking the pool or the mountains, while the suites have a fabulous view of the Red Sea. The Morgana Beach Resort has 289 guestrooms and suites and a wide variety of services and facilities for all to enjoy including a large outdoor pool, tennis court, spa and fitness centre, and a children's playground The Morgana Beach Resort is an attractive hotel overlooking its own private beach on the popular Taba Riviera. The location is ideal for water sport activities and there is a dive centre on the beach which offers diving instruction for all experience levels so you can enjoy the house reef just offshore in front of the hotel. All 164 guest rooms (standard rooms, superior rooms and suites) offer a magnificent view on the Red Sea.. AQUAMARINE SUN FLOWER RESORT is a 4 star resort hotel occupying a prime location in Taba between the cinnamon-coloured mountains of the Sinai and the cool, indigo waters of the Red Sea. 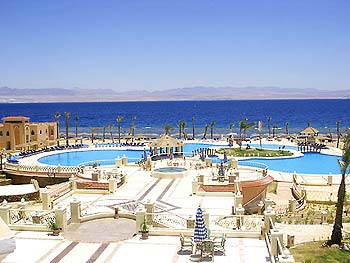 Located alongside the beautiful beaches of the Red Sea with a magnificent view on the azure waters of the Gulf of Aqaba and a view on the neighbouring countries of Saudi Arabia, Jordan and Israel, the resort offers the luxury of solitude and tranquility, as well as relaxation and full enjoyment for all - families, couples and single travelers.